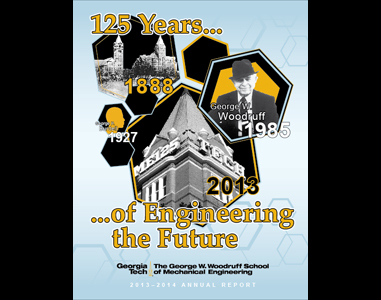 The George W. Woodruff School of Mechanical Engineering 2013-2014 Annual Report has been released. Learn about enrollment and degree statistics, major faculty awards, cutting edge research, and more from the 125th anniversary year of the Woodruff School. If you’ve vacationed at a Disney park over the past two decades, you’ve probably already seen Trevor Larsen’s work. Remember when your kids talked you into riding Space Mountain? Larsen developed parts for your car. That time you screamed your way through the Twilight Zone Tower of Terror? Larsen was one of its designers. 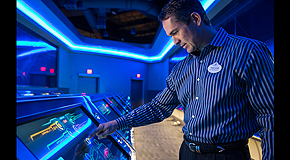 Now he’s senior vice president for facilities and operations services at Walt Disney World Resort, meaning he influences engineering all over the Orlando property. But it all began, as many careers do, on North Avenue. The check engine light suddenly flashes and immediately the driver is overcome with worry. How serious is the problem? Is it OK to drive? How much is this going to cost to get fixed? These questions are now easily answered thanks to FIXD, a device developed by a team of students from the Georgia Institute of Technology. FIXD gets plugged into a car’s diagnostics port, just underneath the steering wheel. 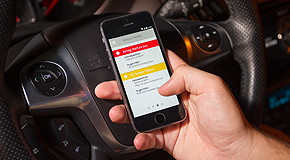 The device connects a car to a person’s smartphone via Bluetooth. It explains the cause for the check engine light, diagnoses the seriousness of the problem and provides repair estimates. The sensor also delivers updates on when the car needs repairs and regular maintenance. To actively engage K-12 grade students in STEM, a new campaign has launched at Georgia Tech that allows students to go online and fund, as well as actively participate in, a laboratory based graduate student research project being conducted in the cleanroom space housed at the Institute for Electronics and Nanotechnology at Georgia Tech. The “Teachable Moments” crowd-funding project is the brainchild of James Meindl, Professor Emeritus in the School of Electrical and Computer Engineering. 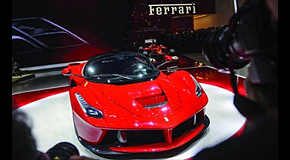 Over the last two decades, there’s perhaps been no more influential force on Ferrari vehicle designs than alumnus Franco Cimatti, BSME '81. As director of vehicle concepts and pre-development for the famed Italian automaker, Cimatti holds a legacy that hit high gear in the mid-1990s when he took the lead on designing the Ferrari 360 Modena — which uncoincidentally bears the same name as his birthplace. 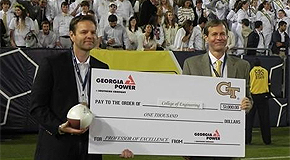 At six home games each football season "The Georgia Power Professor of Excellence Award" presentation takes place on the field. The award recognizes one selected Professor from each of the six Colleges at Georgia Tech and is a perfect bridge between academics and athletics. Georgia Power representatives are on hand to present that game's "Professor of Excellence" with a $1,000 contribution to their College's general fund. During the past weekend's Georgia Tech vs Miami game, Professor Bert Bras was presented with the Georgia Power Professor of Excellence Award. The National Institutes of Health announced investments totaling $46M to support the goals of the Brain Research through Advancing Innovative Neurotechnologies (BRAIN) Initiative. The Woodruff School's Dr. Craig Forest is among those who received a BRAIN Initiative Award. 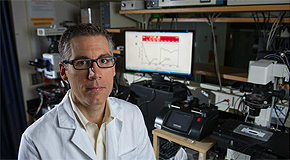 His team will detect subtle disruptions in neuron-to-neuron communications – as occur in brain disorders – using a newly developed robot-guided technique. Along with our newly-released 2013-14 Annual Report, I am pleased to update you on the recent Woodruff School External Advisory Board meeting. I am delighted to report that our 125th year as the founding academic unit at Georgia Tech was unusually successful and spectacular!